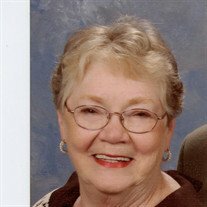 Margie Dean Morgan, age 80 of Sale Creek passed away early Monday morning, February 4, 2019 at Erlanger Medical Center in Chattanooga. Margie was born in Sale Creek on May 26, 1938 the daughter of the late Carl Francisco and Sarah (Iles) Francisco. She was preceded in death by her husband, Fred Lee Morgan. Margie lived in Sale Creek all of her life until moving to Dayton two years ago. She was a Sale Creek High School graduate Class of ’56. Margie was a former owner and operator of Dayton Paint & Glass with her husband from 1981 – 2001. She enjoyed traveling, quilting, crocheting, painting. She was raised in the New Providence United Methodist Church and currently a member of the First Baptist Church. She is survived by her daughter, Lea Anne (Michael) Iles of Mebane, NC; her sons, John Michael (Jeanella) Morgan and Walter Thomas (Jennifer) Morgan both of Sale Creek; four grandchildren, Philip (Kim) Iles of Hillsborough, NC, Matthew (Kaela) Iles of Modesto, CA, Kayla (Gabriel) McKenzie of Dayton, Savannah Gardner and Brice Morgan of Sale Creek; six great grandchildren, Merci Iles-Pulley, Madison Iles-Pulley, and Moriah Iles-Davis of Hillsborough, NC, and Treymaine McKenzie, Sencere McKenzie, and John David McKenzie of Dayton. Funeral services for Margie will be held Saturday at 12:00 noon in the funeral home chapel with Rev. Milton Knox and Rev. David Haynes officiating. She will be laid to rest next to her husband in New Providence United Methodist Church Cemetery in Sale Creek. Please share your memories of Margie on her online guest register at www.vanderwallfh.com. The family is being cared for by the Vanderwall Funeral Home where they will receive family and friends Friday evening from 4:00 p.m. to 8:00 p.m.
Memorial contributions may be sent to First Baptist Church of Dayton Building Fund.